A$AP Rocky Maps Out "Injured Generation Tour"
After delivering his Testing LP earlier this year, A$AP Rocky has now announced plans to take the record on tour early next year. 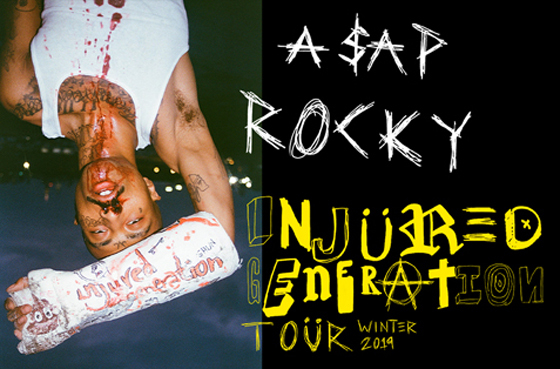 A pair of festival dates to close in 2018 will give way to the "Injured Generation Tour," keeping Rocky on the road throughout North America throughout next January and February. A pair of Canadian dates has been included on the run, with Rocky first playing Toronto on January 11 before hitting Montreal on January 13. Tickets for all dates go on sale November 2 at noon local time. Find a complete itinerary and announcement video below.